No man's wardrobe would be complete without a hoodie. 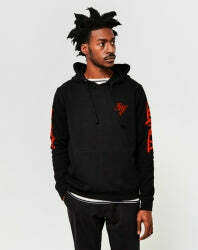 As a street style classic, the hoodie is the ultimate combination between style and comfort. Here's our style guide on the top ways to style this iconic piece of men's fashion. 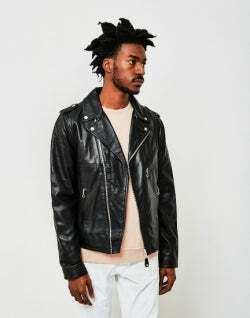 Read more Men's Style Guide features. The hoodie has a troubled past, but with its comfort and style factors, it’s here to stay. 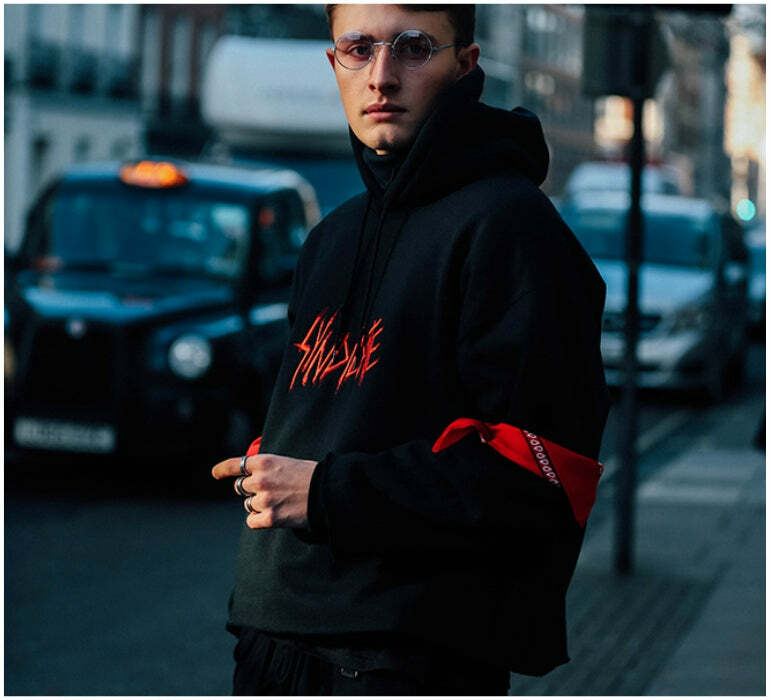 Knowing how to style a hoodie can be difficult, but if you know what to team it with, you can throw it on for a quick fix to keep warm and cosy, or utilise it for a more edgy look when dressing up. 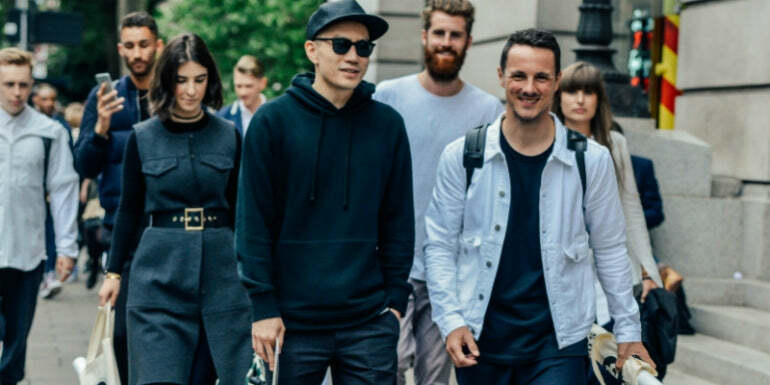 Thanks to the new found love for sports luxe that has emerged over the last few years, the hoodie can be incorporated into any outfit with ease and still look presentable. So, here's your guide on how to wear a hoodie so you can master the piece. 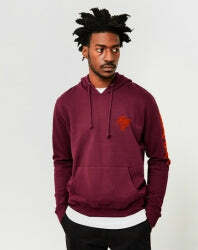 Hoodies are some of the most versatile outerwear available for men. This means that they come in endless varieties of colours and styles, all of which working in their own particular way. 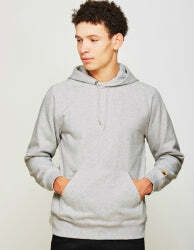 However, if you're trying to wear an truly classic hoodie style, then a grey hoodie is always going to be a winner. Whether you're looking for sports hoodies to wear whilst pumping iron at the gym, or just for going down the pub with your mates, the classic grey hoodie will always have you're back. 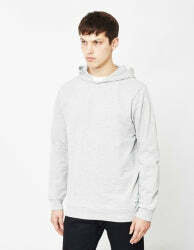 One of the best things about wearing a grey hoodie is the monochrome and neutral colour shade that it has. Similar to black, wearing a colour like grey means that you can pretty much combine it with any other colours and it's going to work. 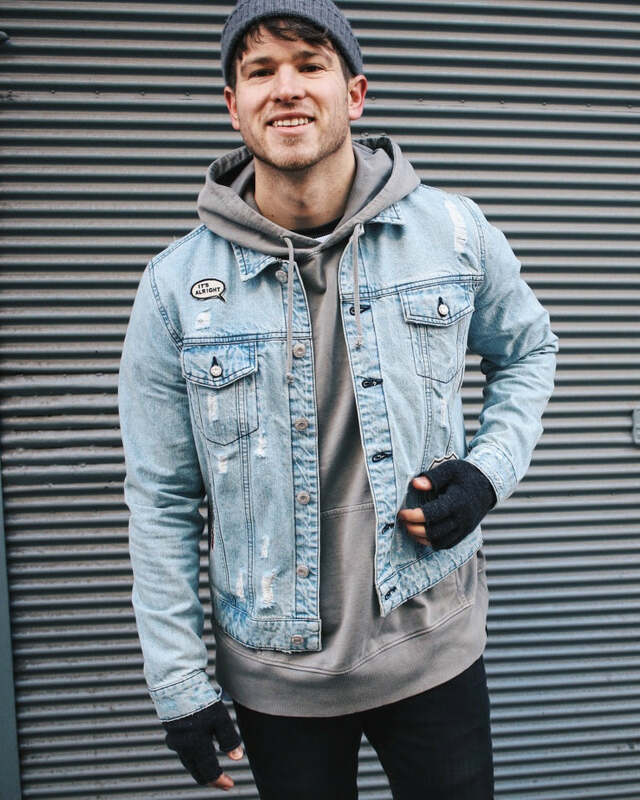 Although it is perfectly stylish to just wear a grey hoodie as the main piece of outerwear in your look, it can also be great to combine it with other items such as jackets. 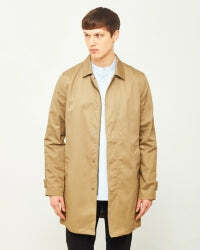 This can add some extra detail to your style and is perfect for layering during the Autumn months. When wearing a grey hoodie, by sticking with other monochrome colours then you can end up creating an outfit that is nicely uniformed and minimalist. 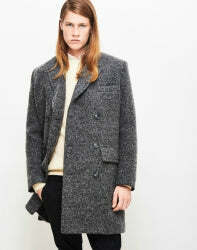 For instance, try wearing a grey hoodie underneath a classic camel coat. Pair this look with some light was jeans and some Chelsea boots; a great Autumnal look that will work for any casual occasion. Want a hoodie that is just as classic and versatile as a grey one, but doesn't show your sweat marks when you go running? Then, a black hoodie is the one for you. As with any black clothes, a black hoodie is a great way to make any outfit instantly more stylish. This is the joy of the colour black, not only does it go with anything, but it's also extremely slick and stylish. There's a reason everyone wears it. As already mentioned, the joy of plain black hoodies is that they will more or less go with anything. This means you can afford to experiment and have some fun trying out different outfits with a black hoodie. 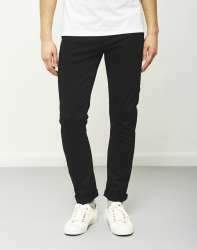 However, if you want to keep things straight forward and simply stylish, then try wearing an all black look. Although you have to be careful to not end up looking like a 16 year old goth kid, as long as you're careful, wearing all black with a hoodie can be extremely fashionable. 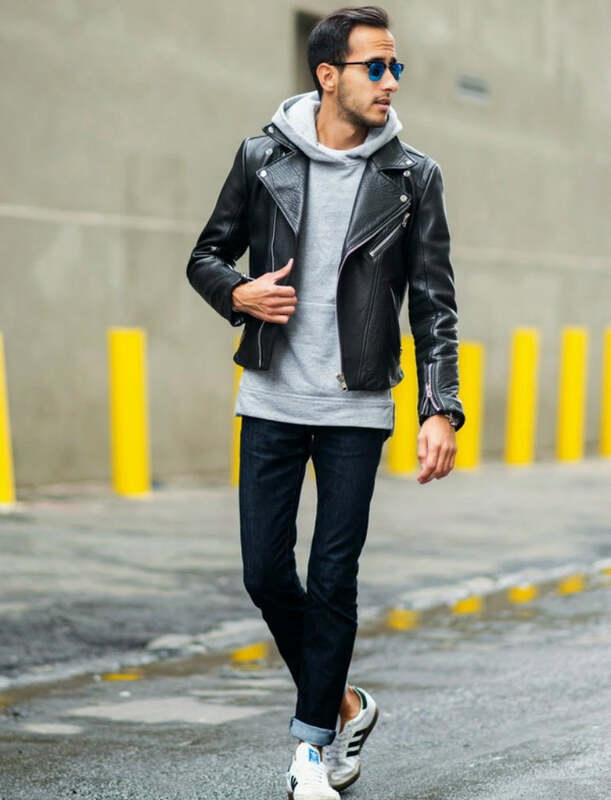 Just as with wearing a denim jacket with a grey hoodie is a perfect way to layer your outfit, wearing a black leather jacket is an excellent alternative for a black hoodie. Wearing a leather jacket is also a good way to make your outfit a bit more formal, stopping the hoodie from becoming too sporty or casual. 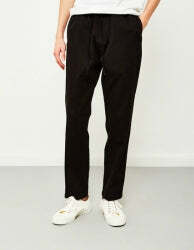 Combine this outfit with a pair of black jogger bottoms or jeans for a perfect sports luxe look. Finally, to add some colourful detail, and to stop the outfit from becoming too dark, throw on a pair of blue or grey trainers. 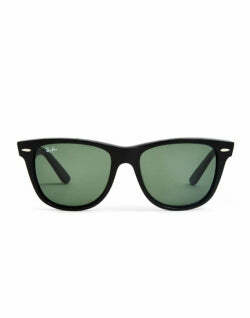 If you want to wear some accessories then invest in a pair of sun glasses or a cap. Out of all the hoodies for men that we're looking at, a white hoodie is probably the most adventurous colour in which you could buy one. 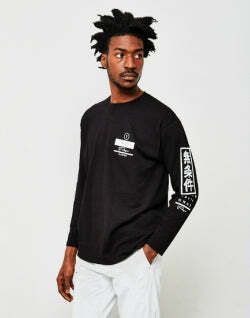 Although white clothes are similar to black in that they're a nice base colour, due to it being a lot brighter it can sometimes overload an outfit. 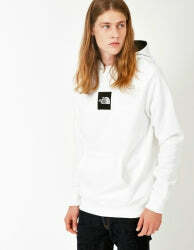 However, if worn correctly, then a white hoodie can be extremely stylish. As a white hoodie is a bit of a statement piece, it's a good idea to keep the rest of your outfit quite low-key to stop your look from becoming too loud or over the top. Wearing black is a good way to do this. Black and white are as opposite as you can get in terms of colour, making them extremely complimentary. 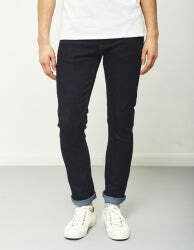 Why don't you try combining your white hoodie with a pair of black chinos or jeans. The binary contrast will create a perfect balance within your style. To add a bit of layering to your outfit try wearing a black jacket on top of your hoodie. 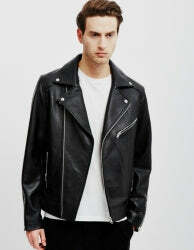 Finish the look with a pair of black leather trainers. If you're looking for more of an effortless look but don't want to look like you've just rolled out of bed, try layering up a hoodie with a black biker jacket with a pair of dark navy or black skinny fit jeans. You'll get more of a dressed up edgy finish and look cool all at the same time. Layering is key to dressing up a hoodie, so try to opt for one with thinner material, as you don't want to end up overwhelmed (or hot) in too many layers. Why not go one step further and dress up the hoodie for a more sophisticated look with a bomber or trench coat combo, perfect for those chilly nights. Luckily for the hoodie, it is a vital piece of anyone's wardrobe and you can wear it in a combination of ways and still look on trend. 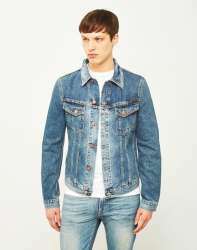 Stick to a neutral coloured hoodie and team it with a light wash denim jacket. 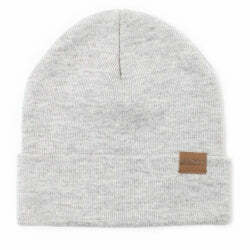 The contrasting colours will make for an eye-catching look; for a more Autumn/Winter feel, then wear a beanie in the same colour hue as your hoodie to keep the outfit together. We all love the hoodie in times of need, for when we just need a quick fix or something to throw on in a rush, while really not making any effort at all. You can look casual and get your relaxed game down all at the same time by pairing a simple bright coloured or logo printed hoodie with a pair of chinos and fresh white trainers.